Nintendo NES Cart. 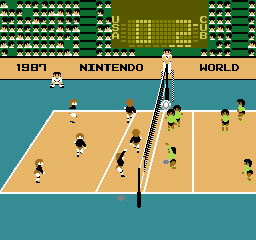 published 32 years ago by Nintendo of America, Inc.
Volleyball © 1987 Nintendo of America, Inc. Released in March 1987 in the USA.